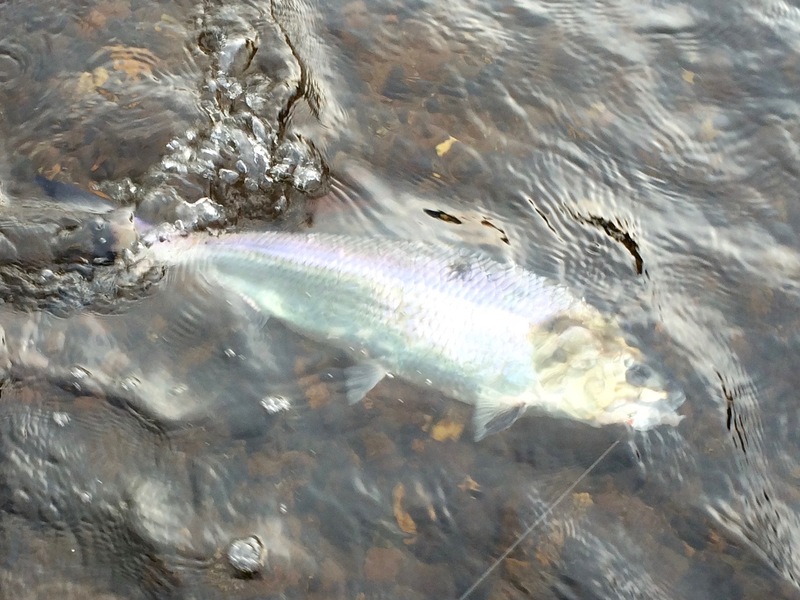 Atlantic Salmon Flies: Last Blast of Shad...And A Nasty Surprise! Forgive the tardiness of this post. I haven't had much time to devote to anything computer-related lately. This report deals with three separate trips: May 25, 27, and 30. I devoted all of my time to a Connecticut River tributary on these three trips. The water had quickly warmed up and the run was on. On May 25, my favorite spot was loaded with fresh shad and the occasional colored fish. Fishing was hot that afternoon. There was a two hour stretch of non-stop action. Fishing cooled a bit that evening, but my friend Sonny and I were still into enough fresh shad to keep us happy. A #4 fly tied with Chinese red Uni-Yarn caught all of my fish but one. That one fish happened to be my largest for the day, a chunky 4 lb. female, who took a #4 fluorescent pink fly. May 27 was more good fishing. I met up with Sonny and his friend Frank at the aforementioned spot. We were all into fish that morning. In my estimation, we caught one fresh shad for every one-to-three colored ones that day. Clearly, the run had peaked, though the fishing was still good. The Chinese red fly was the only one I used that day. Once again, it racked up double digit numbers. My fly and my reel were toast by the end of the day. May 30 was my best numbers day of the year, but the lack of fresh fish was sort of a letdown. I would guess that I hooked one fresh shad for every eight-to-ten colored ones. I knew this would be my last day of American shad fishing in 2016. The colored fish were mostly lethargic, though they were definitely willing to take a Chinese red shad fly. My buddy Doug came up for a few hours and caught some shad. It was fun, but the shad weren't the reason why I will always remember this day. At one point in the afternoon, I got a series of text messages. After swinging my fly through the run, I let it settle on the sandy river bottom while I checked my phone. The messages wound up being unimportant, so I put my phone back into my waders pocket and began to strip in my running line. During the first pull, I felt the weight of a small fish on my line. I stripped all my line in and prepared to remove the hook from what was probably a small chub or baby walleye. It was neither of those things. It was a sea lamprey! Gross! It was wiggling all over with my fly in its mouth. The fly must have dropped right into its nest and the lamprey attacked it. Not wanting to put my fingers near its mouth, I wrestled my fly away from it with my forceps. It wasn't easy to get my fly back. 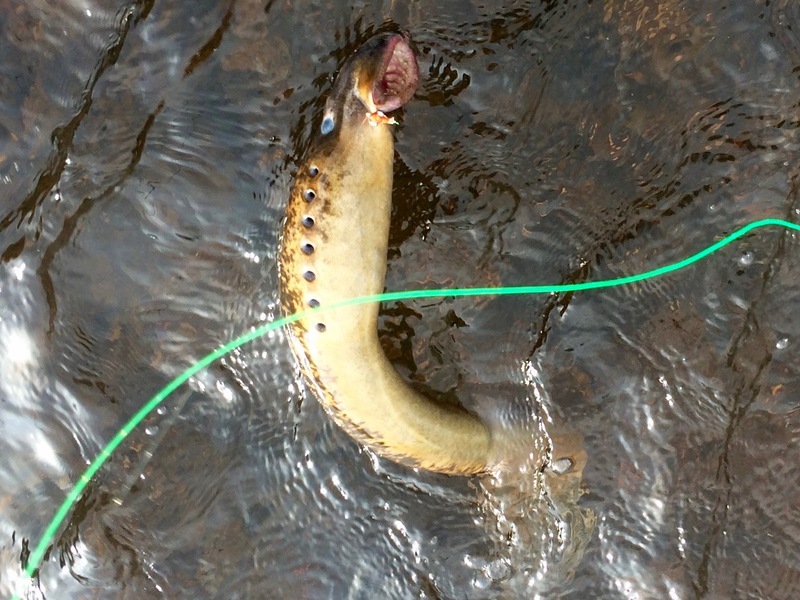 The lamprey wiggled around like crazy. It's the only time I've heard of a lamprey being caught on a fly. It's a nasty fish, but sort of a cool experience. I'm pretty happy with how this season went. I really enjoyed fishing the Connecticut River, especially when the big roe shad were in. I'm looking forward to doing it again next spring. In the meantime, I have to get into Atlantic salmon mode. In about two weeks, I'll be on the Grand Cascapedia...hopefully catching big salmon and not lampreys! I thought you'd snagged it when you sent me the photo, then I caught one on the Beaverkill on Thursday!!! I did see a few shad there two, but the were all moving very quickly and I didn't have the right flies. 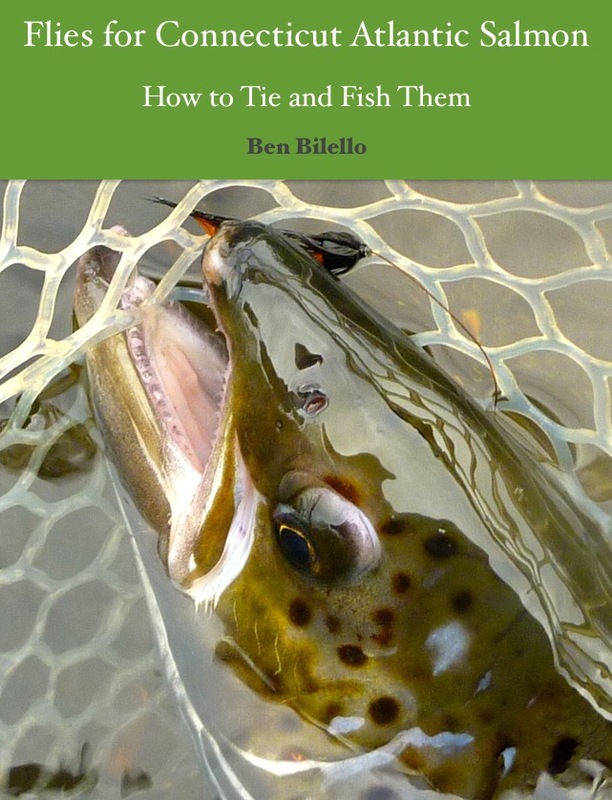 Wow, I had no idea those fish moved up the Beaverkill. Sounds like you had a great season! Too bad we missed getting together again but that was on me!